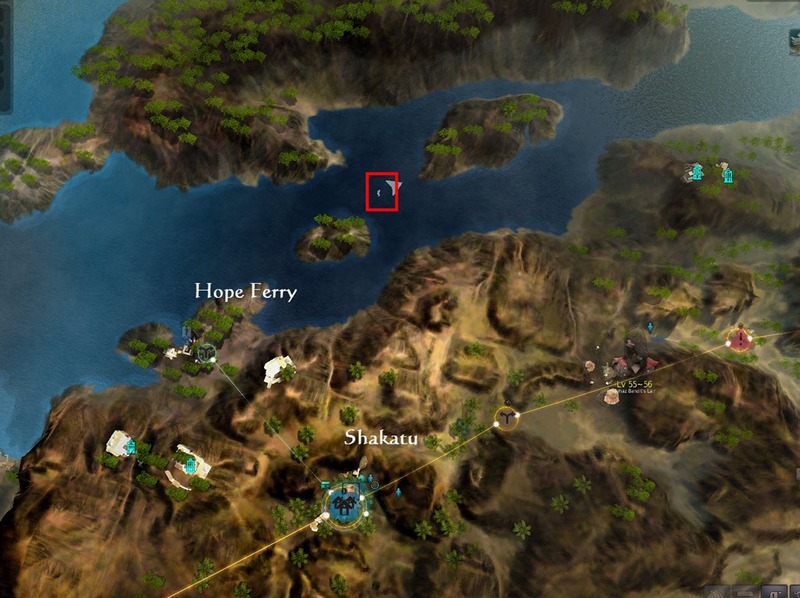 A guide to locating the shipwrecks and underwater locations for the Magoria Opening Event. This event is running from Jan 25 to Feb 8 and requires you to locate 5 of out of the 7 knowledge items indicated below. Upon completing this you will be rewarded with 2x Epheria Sailboat Blueprints and a special title in a future game maintenance. 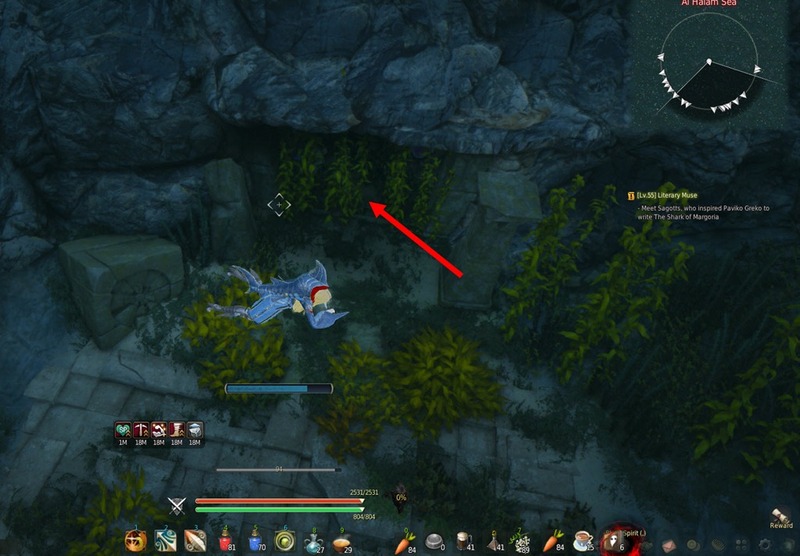 There is a new questline from Batima in Shakatu that has you go to some of the same locations, be sure to pick that quest up (see more under New Quest Chain). The quest will mark the locations of the things you need to find, making it overall an easier experience. Some stuff that will help you with this are Elixir of Seal (+15 seconds underwater breath), Shark Costume (+30 seconds underwater breath, faster swimming speed), and movement speed crystals (you move faster underwater). 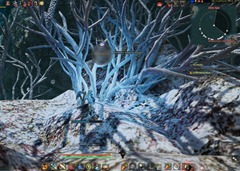 If you are doing the Shakatu Questline at the same time, you can just use the minimap to find the location for stuff but otherwise you will likely need a compass to help navigate (compass parts can be bought on the marketplace and lasts for 3 days or you can get one from doing the Magoria main questline). If you run out of breath, your character will automatically swim up top, you won’t drown and die. 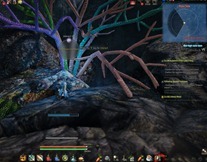 If you run out of stamina, your movement speed will be slowed down significantly (-30%) but you can go back to character select screen and log back in to replenish your stamina to full. 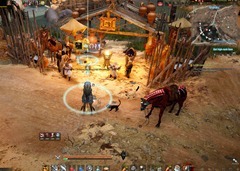 Go to Shakatu and take the Shady Rumors quest from Batima, the Stable Keeper in Shakatu in Valencia. This quest starts a quest chain will take you to the same spots required for the event. You need to be level 56 to start this quest chain. The quests in the chain are as follows. Bolded quests are those that tell you go to the same location as you need for the shipwreck event. This is a quest chain so you need to take quests from the next NPC and so on. 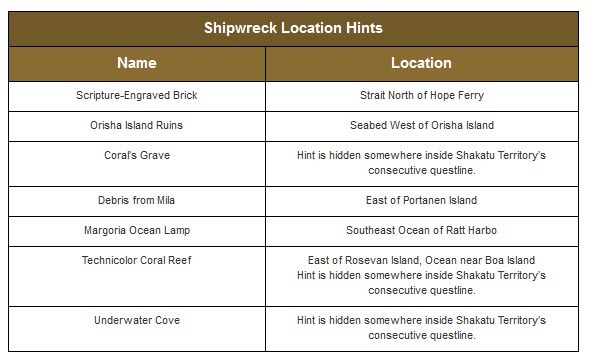 Remember you only need to do 5/7 of the Knowledge listed here for the event to get the 2x Epheria Sailboat design and title. Interact with Letter-engraved Brick to gain knowledge. 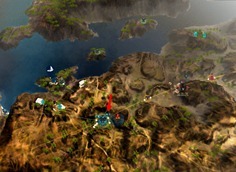 Interact with Fragment of Ancient Ruins to gain knowledge. 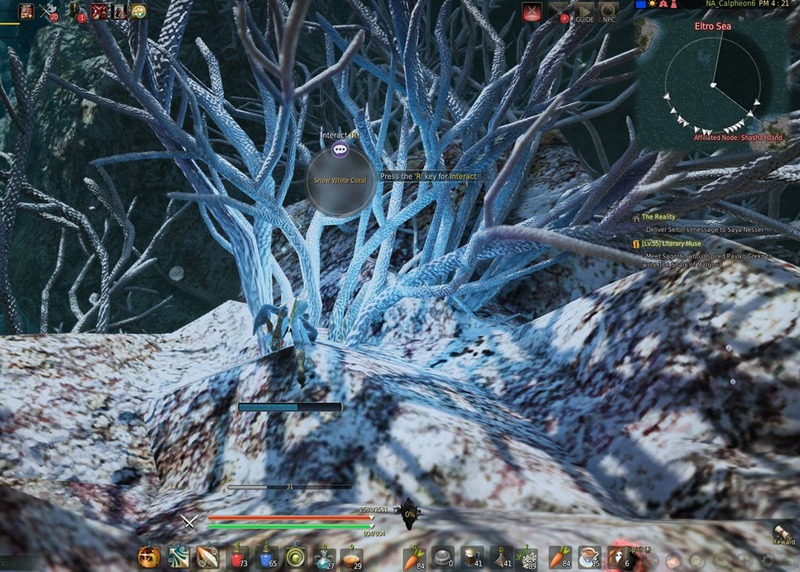 Swim west of Lerao Island and interact with the Snow-White Coral. The knowledge you get is Snow White Graveyard. This one is inside the Ross Sea, which means your map doesn’t work. 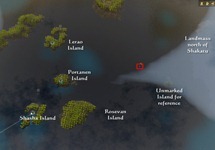 Just swim east and slightly north from Portanen and look for the shipwreck on the ocean floor. 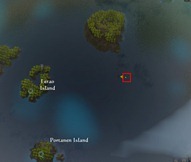 If you see that unmarked island, it you are close. 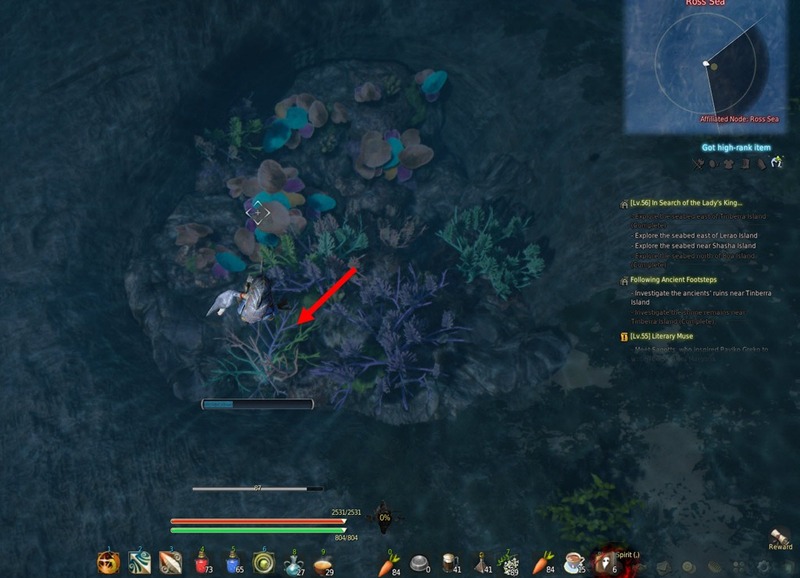 Compass will work in Ross Sea and you can get one from the Magoria questline that starts with the storage keeper in Epheria. 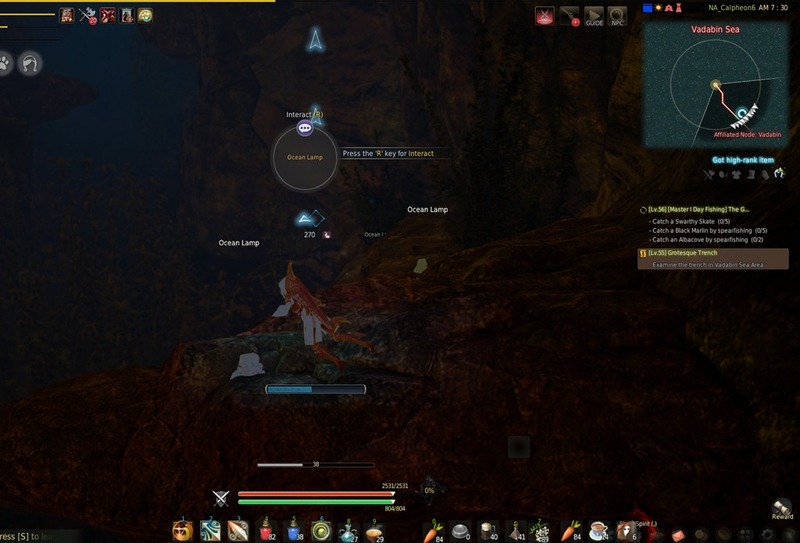 This is part of the Magoria main questline. 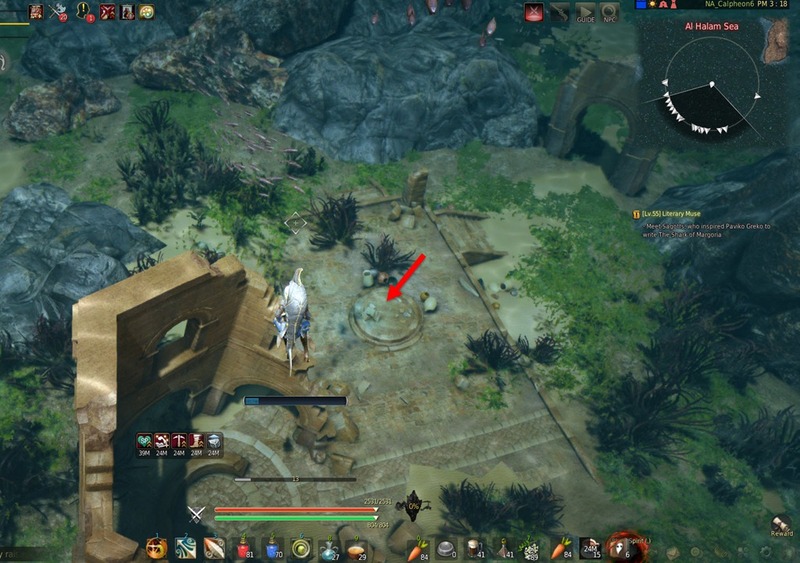 It is a quest called Grotesque Trench you get after arriving in Port Ratt. You must have quest to get knowledge. It will direct you towards the Ocean Lamp deep in the Trenches that you can interact to get knowledge. Also slightly inside the Ross Sea. This area is also in Ross Sea but only slightly. Just swim north from Boa Island and look for a cave like structure with lime pillars. 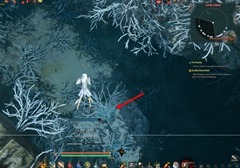 Interact with the Lime Pillar object to gain knowledge. The knowledge you get is Mysterious Underwater Cave. 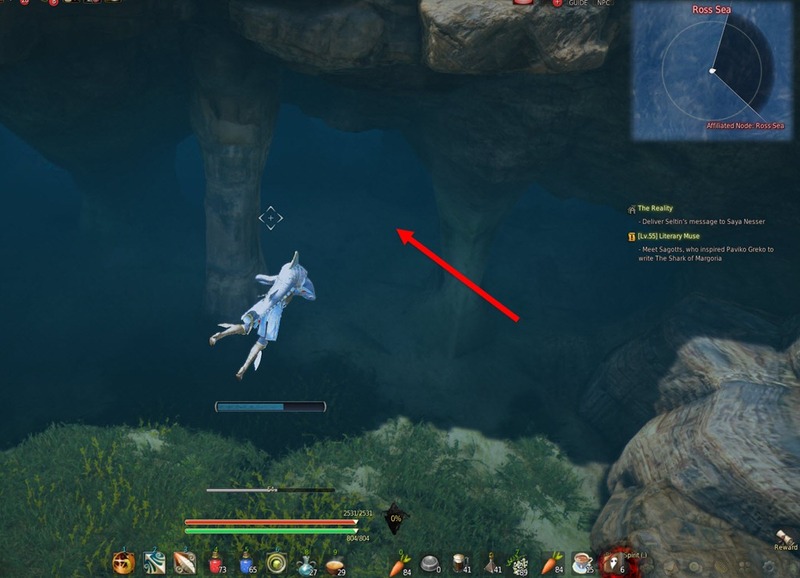 Looking at the air gauge… isn’t underwater cave completely imposible without swim suit? 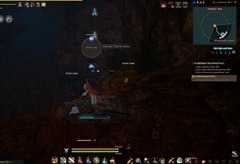 With movement speed 5, underwater breathing crystal & blue elixir you can do everything… If you do still have some issue you can reset your air gauge by swapping channel or going back to char screen. Anyone know where the air bubbles are located or what to look for? 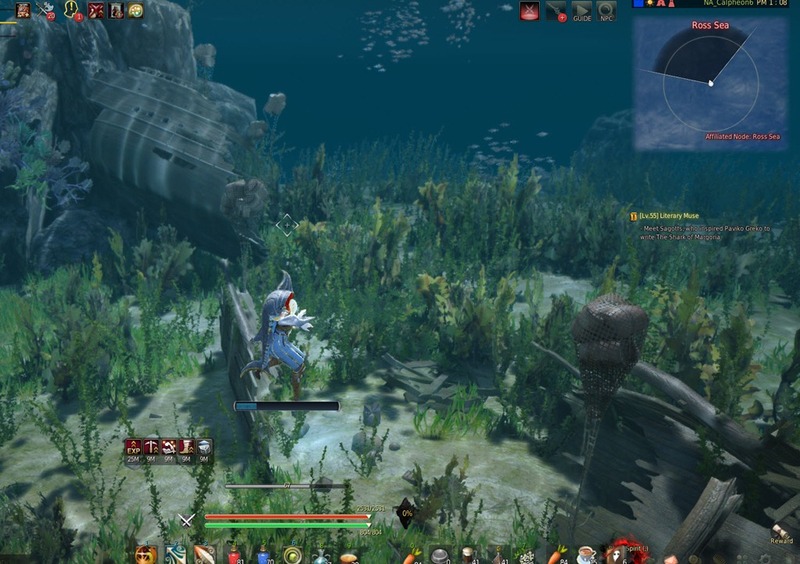 For the quest Interesting story I can’t find the part for Investigate the reef area in Al Halam Sea. Anyone know what to look for? 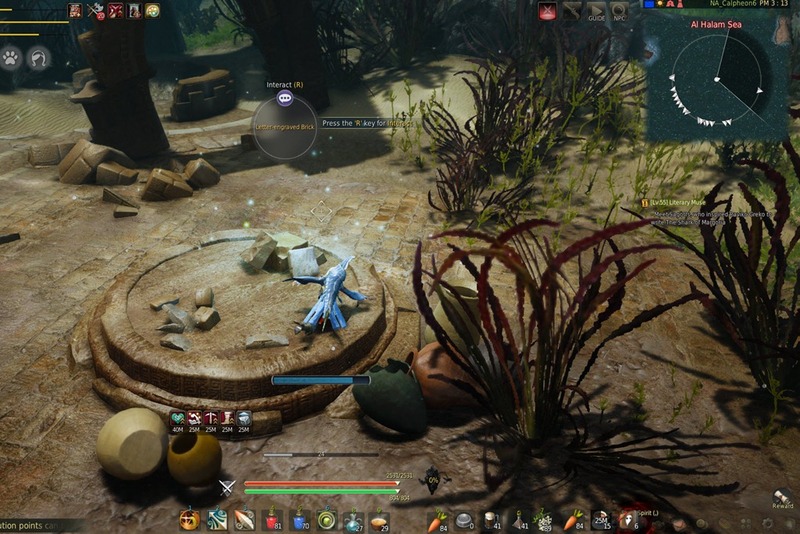 There is a second quest marker. Right outside of the fjord. It is on top of a coral reef. OMG Thank you soooo much for that! Right on top like you said. Oh wonderful lol then I’ll be back probably! I did all the quests got some gems gold and a coral but no plans for the boats missing something? They have not been sent out yet. I mentioned it in the first paragraph of this guide, do I need to bold it? Upon completing this you will be rewarded with 2x Epheria Sailboat Blueprints and a special title in a future game maintenance. Indeed. And through in-game mail. Where is your source for this? Maybe….but just maybe….. read the official Forum….? It says so on the forums. (The thread posted by the CMs). 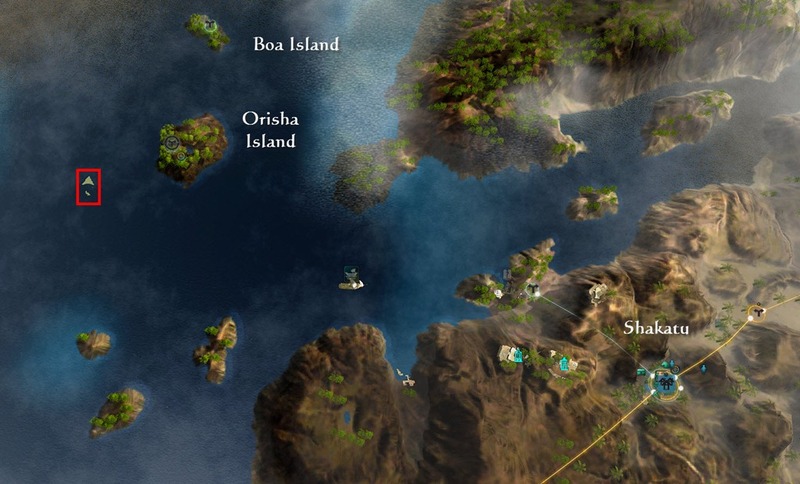 Event Prize: Discover 5 of the 7 points of interest and gain their knowledge to earn a special title and Epheria Sailboat Blueprints (x2). * The rewards will be distributed through in-game mail in a future maintenance. 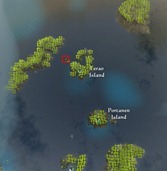 I take the journey to Skakatu but no “Shady Rumors” quest D: im level 57.. what am I missing? 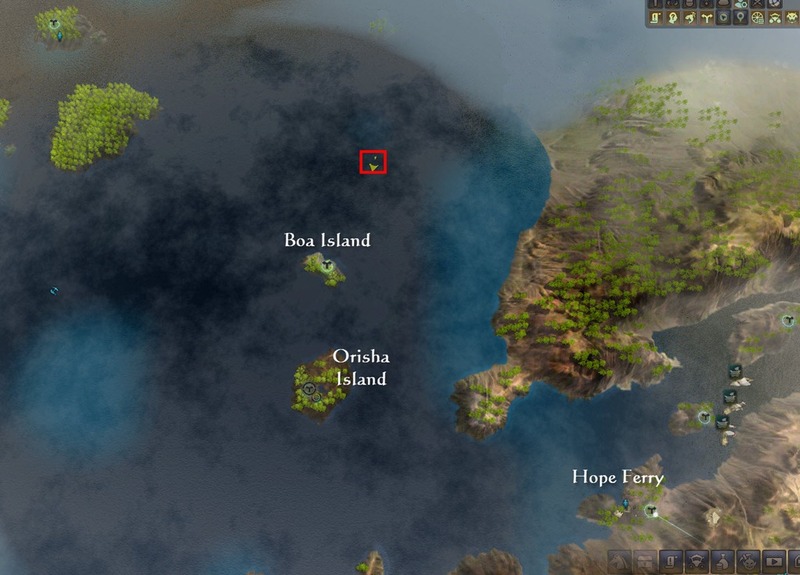 This is not clear… there is no such thing as an Epheria Sailboat Blueprint. Is the reward just 2 of the design pieces? 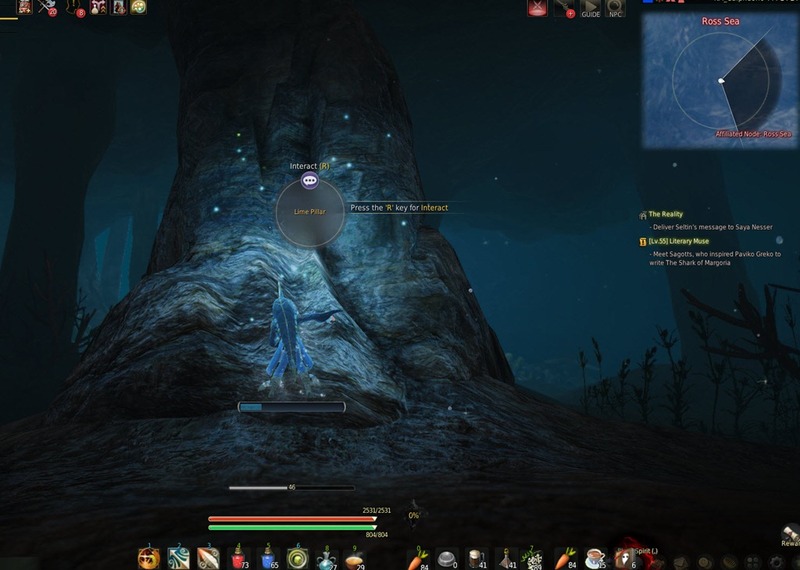 Is there any images for #5 Margoria ocean lamp? Do you need the quest chain to do it, or does it only make things easier? So i did all the quest. I was wondering, is there a way to see if you got all the knowledge? Since I was not really paying attention on what I was accepting and moving on as soon as I interacted, I feel as if I missed some. For example, I didnt remember interacting on the “Techicolor Coral Reaf” or “Debris from Mila”. Could you list all the knowledge you get from each of the 7 points? 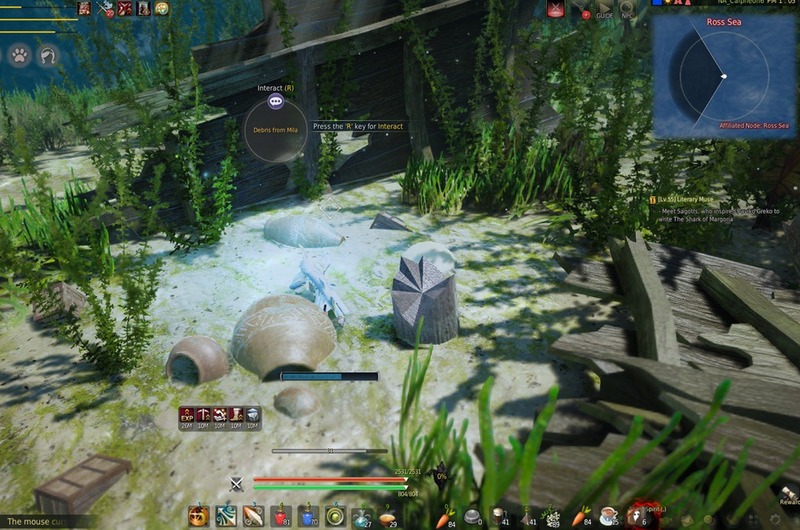 If you did all of the questline you should have all except Debris from Mila and Magoria Ocean Lamp. This should put you at 5/7 which is all you need for the event. I see, however I tried to check by searching the knowledge in all the knowledge I gained interface. The knowledge Coral’s Grave knowledge and Techicolor Coral Reef knowledge did not show up and that had me worried and thought something is wrong. It’s most likely the wording is wrong therefore the search feature could not find the corresponding knowledge, but still have me worried. This was the reasoning to me asking these kind of questions. I believe it is Technicolor reef, but will only show if you spell it right. Thank you, I found the Snow White knowledge. As for Technicolor one, nothing shows up still. I really appreciate all you have done though. As always – YOU ROCK! I lucked out and parked right on top of #4! This event caused me to buy my first ship and i’ve been having a blast sailing it around. Got 5/7 done, thanks for the guide Dulfy! So I am curious, how can you tell when you’re done? What happens? I know I have at least 3 done, plugging away at the rest right now. 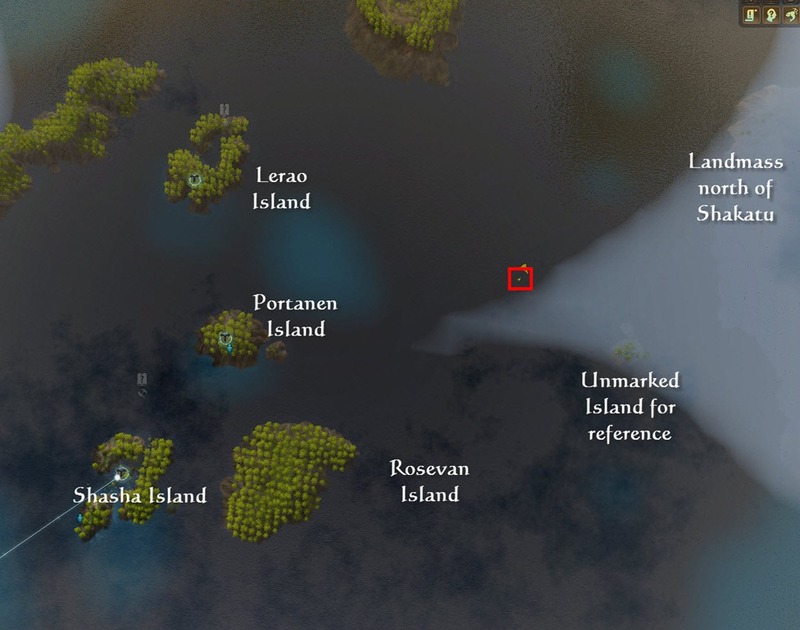 There is an underwater cave somewhere I think, gotta find the entrance to it. Note: Some of the knowledge names differ from those given. 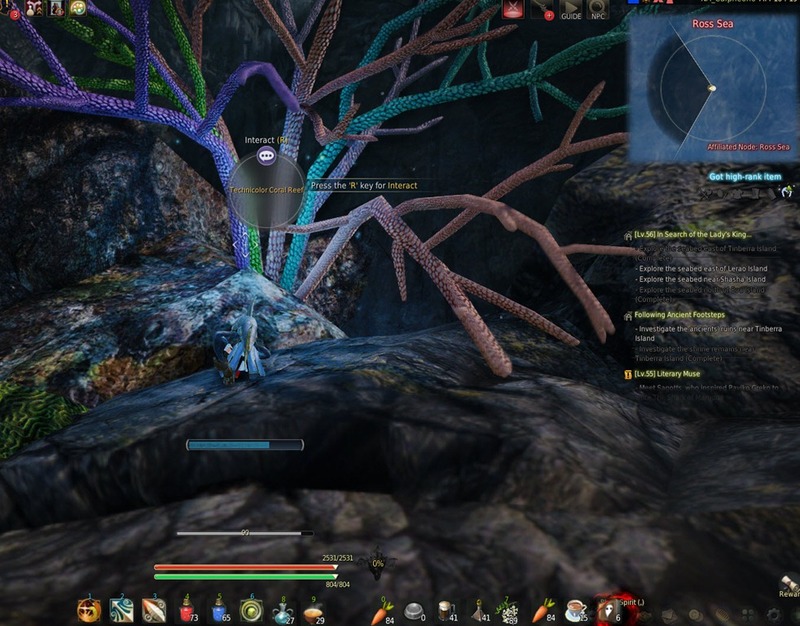 >Technicolor Coral Reef … might be Al Halam Reef?< absolutly not, maby "Usefullness of Coral"
Mmmm that would mean i have to go back and do all over them all over again because its a questline? 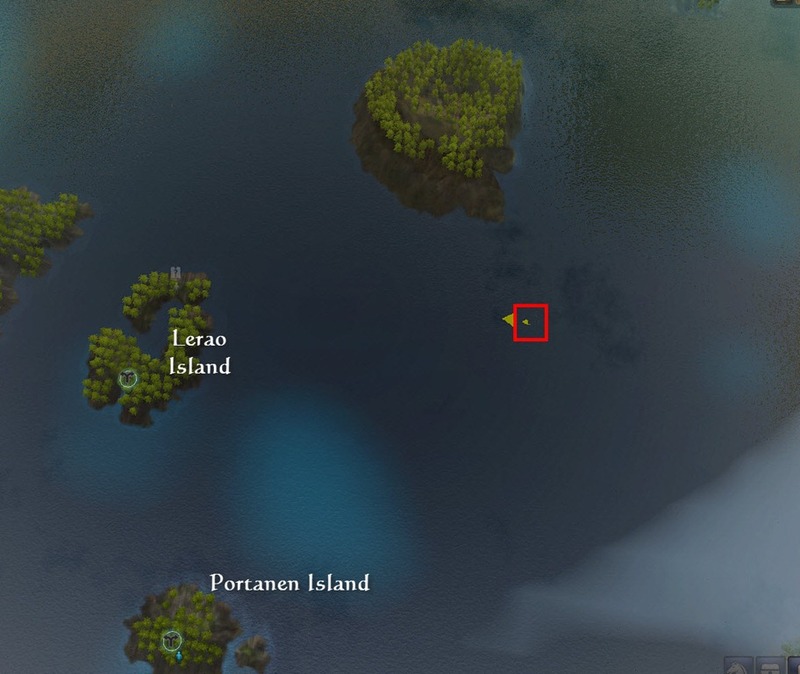 Did all in one go before starting quests, was pretty easy with this guide to find locations, many thxs. 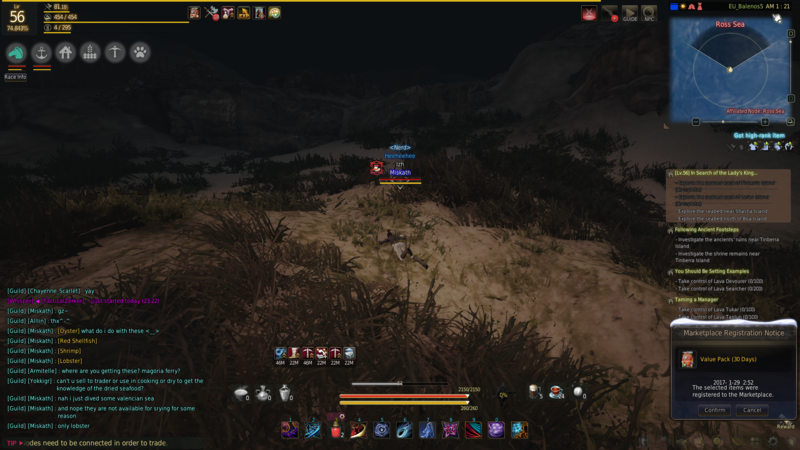 Days later still trying to figure out how to get the quest that has me go to Grotesque Trench to get nr 5 in this guide. How do i start the quest chain? does it stop somewhere? because i have no quests in my log that are part of this questline? I need help! xD I just completed “an interesting story and want to proceed with the questline.. My problem is, that i just stops? 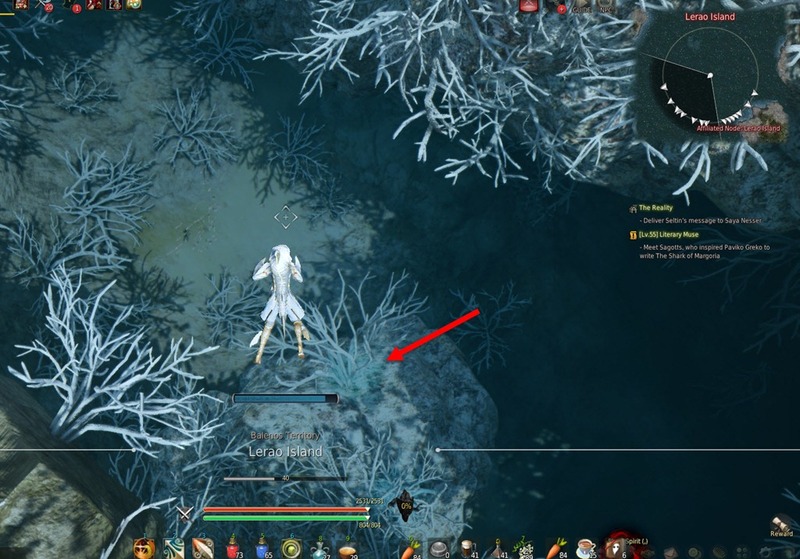 do i just go get knowledge and then go see Shakatu or what do i need to do? When are the quest rewards being sent out? I just started doing some of these, noticing that the Grotesque Trench main line quest, is still available. Do you know if the other locations’ quests are still available or if those also ended with the event on Feb 8? So, basically same event as for the Epheria Sailboat, but it must be done again with a different character? 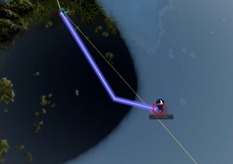 This quest was in the game before frigate release. 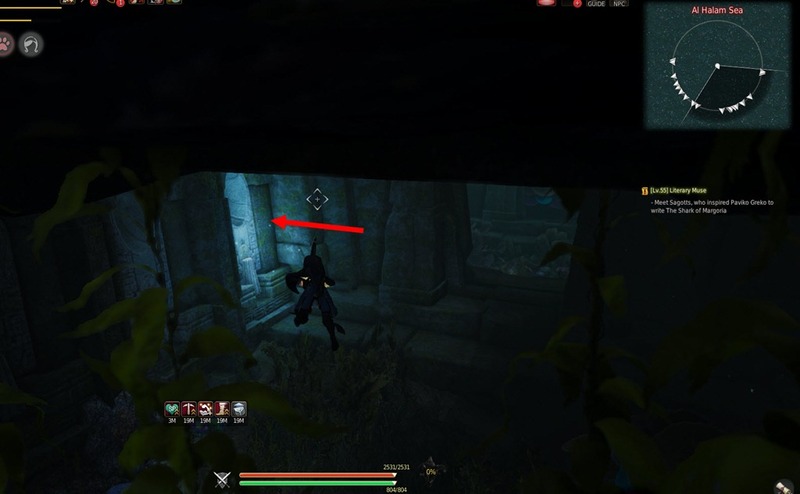 Its not a New questline. I had it completed actually. They just added an event around it.